NEW YORK--(BUSINESS WIRE)--Apr. 9, 2019-- L3 Technologies (NYSE:LLL) announced today that it has been awarded a prime contract with an estimated value of more than $1 billion to deliver four aircraft with next-generation airborne electronic warfare (EW) capability to the Royal Australian Air Force (RAAF). 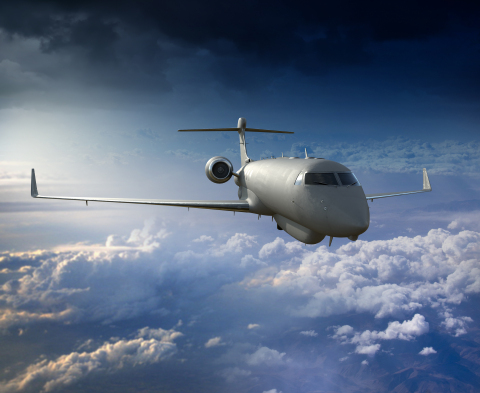 Known as the MC-55A Peregrine, the contract includes four modified Gulfstream G550 aircraft with an integrated mission system that provides the latest EW capabilities. Work on this program was initiated in 2017. Funded orders received on this contract were approximately $230 million for the 2019 first quarter and approximately $700 million in total as of March 29, 2019. The MC-55A Peregrine will be integrated into the Commonwealth’s joint warfighting networks, providing a critical link between platforms, including the F-35A Joint Strike Fighter, E-7A Wedgetail, EA-18G Growler, Navy surface combatants and amphibious assault ships, and ground assets to support the warfighter. Work is being performed at L3’s Greenville, Texas facility and at Gulfstream in Savannah, Georgia. It will include airframe modifications to accommodate mission systems and secure communications equipment, installation of a self-protection suite, ground-based data processing systems and crew training services.